The most important task whilst planning your couple’s engagement shoot in my opinion! London is filled with the most incredible architecture and landscapes that it could really be overwhelming knowing what style and vibe is yours as a couple. Being a London photographer I roam these vibrant streets to find bright and airy spots on a weekly basis. Honestly not only for my inspiration but also for my piece of mind. 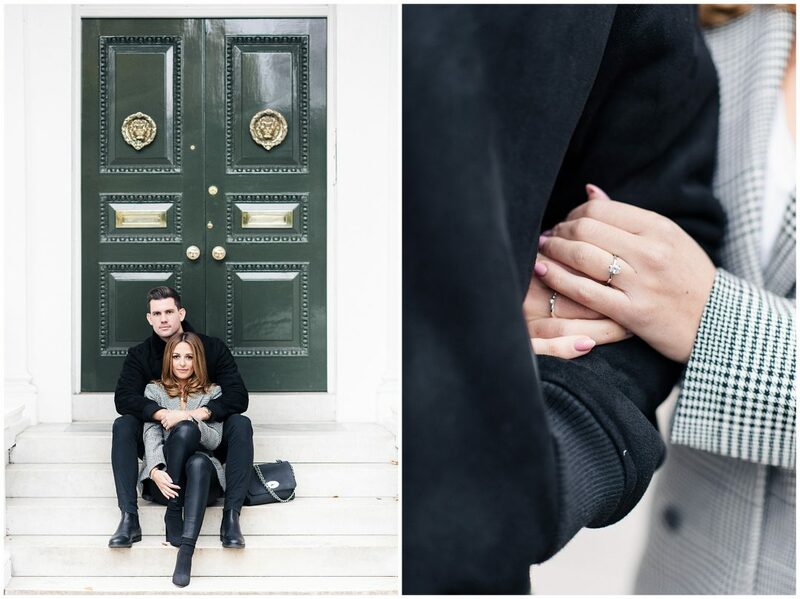 I had the pleasure to photograph this super chic and stylish South Kensington Engagement with my fabulously romantic couple, Michelle and Jordan. Meeting Michelle, I knew she spoke my language. Interests such as travel and Fashion l knew I was in for a treat. 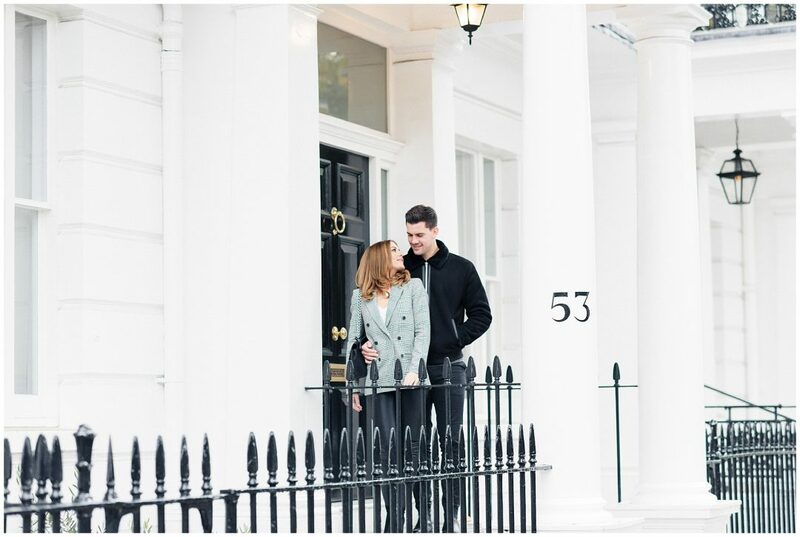 We met at South Kensington and made our way to the stunning Onslow Square. For those who haven’t been, you are missing out on the purest white heavenly place. I had a feeling a location thats neutral and simplistic would fit their personalities all too well. The best part is how quiet the area is, the perfect opportunity to get comfortable with each other and of course for them to feel at ease with me. Hope this feeds all London couples some Valentines day romance and a potential Valentines gift idea for a special someone. For bookings get in touch.